Navy ships to cope with the inherent most complex requirements in this sector. High-lift special bilge blocks safely take care of the ship's hull; the propeller, rudder, stabilizers and the sonar dome are accommodated for easy access, so that the overhaul of these high-power vessels in a minimum of time does not present any problems. 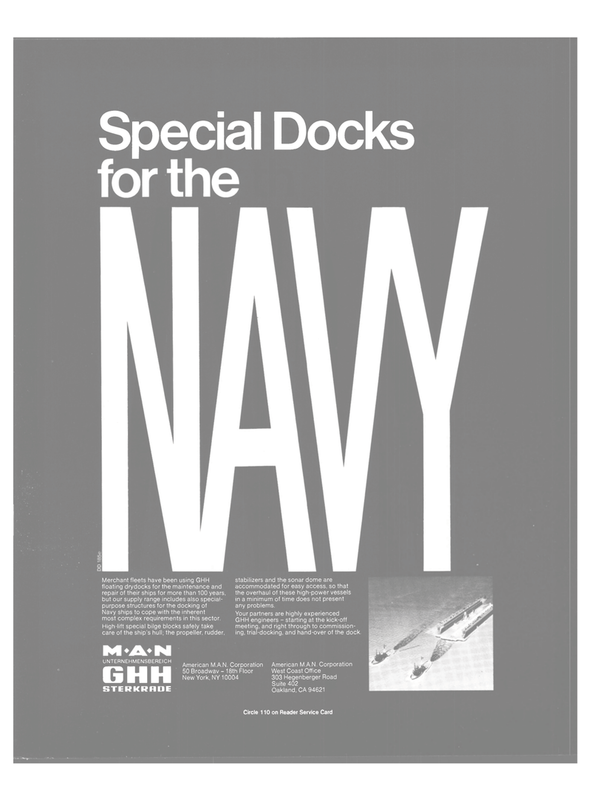 GHH engineers - starting at the kick-off meeting, and right through to commission- ing, trial-docking, and hand-over of the dock.